A friend has started a wonderful conversation with me and I thought that I would share it here. This is part one and I hope that people will respond with your ideas and feelings and thoughts. You asked me about the Jewish view of life after death. My short answer is that we believe in them all and in none. By that I mean that we have a plethora of views and each one ends with the statement that we know nothing of “the World to Come.” We have faith that this is not the only realm. We believe that there must be something after. In ancient times, the TaNaCh spoke of Sheol which was where we all went after death. It was never clear what happened there, merely that we were collected. I imagine that it was similar to the Catholic concept of Purgatory. It’s just a nice place to hangout for eternity. Of course it could also have been similar to the realm of Hades as the Greeks interpreted it. I don’t know about you, but that is unsatisfying to me. Many concepts have slipped into our belief system including a variation on the Christian heaven and hell. But ours was based on deed more than the acceptance of a belief system. When Eichmann was awaiting execution in Israel (the only execution ever in the State of Israel), a group of Christian ministers asked to meet with him. There purpose was to convert him, to teach him the “Jesus Path.” A curious Israeli authority asked them what would happen if Eichmann accepted Jesus. Would all his sins be forgiven and would he go to the Christian heaven. They answered in the affirmative. This baffled the authority as it does me. Our view is more akin to the Mashal (teaching parable) of the man who was given the gift of being allowed to visit Heaven and Hell. First he was taken to Hell. He was surprised to find a long table filled with a wonderful feast. Then he noticed that the silverware was over a yard long. Each knife and fork was made as if for a giant. In addition each fork and knife was attached to each person at the feast at the wrist and above the elbow. The result was that no person could feed himself and was in a perpetual state of starvation while seated before this amazing repast. The man turned to his angel guide and pronounced that it was certainly a huge punishment for those poor souls in Hell. Then he was transported to Heaven. In Heaven he was surprised to see the exact same arrangement. There was the table, the abundance of delicious food and the extremely long utensils attached as they were in Hell to the ‘guests’ at the feast. There was only one difference. In Heaven each person was feeding the person across from him/her. Everyone was satisfied and happy. In Liberal Judaism there is not much discussion of the afterlife, viewing this as the main venue and whatever happens after is in the hands of G. There is much talk of the concept of living on after our death in the deeds that we do. There is a very good summary of the Liberal view by Rabbi Evan Moffic a Reform Rabbi. “Faith begins in mystery. Among the greatest mysteries we face is the afterlife. What happens when we die? Do we see our loved ones? Do we know them? Do they know us? The questions are endless. Jewish wisdom offers no definitive answer. We can identify, however, several core teachings. “There is an afterlife: Texts from every era in Jewish life identify a world where people go when they die. In the Bible it’s an underworld called Sheol. In the rabbinic tradition it’s known by a number of names, including the yeshiva shel mallah, the school on high. The Hebrew word for skies, shamayim, also came to refer to heaven. “The afterlife is here on earth: One strand of Jewish thought sees heaven as a transitory place where souls reside after death. They reside there until they reunite with their physical bodies at the time when messiah comes. Rabbi Shmuley Boteach articulates this view in his early book, The Wolf Shall Lie with the Lamb. This approach differs from reincarnation since the return to life happens only in the messianic era, not as a regular occurrence, as in Hinduism. The more traditional view is that the soul returns to G. Some say that this is a temporary state and that eventually it is reunited with the body that is rejuvenated (or is it reJewvenated), when the Mashiah comes. Then there is a certain amount of time when we live “Heavenly days on earth.” But that too will end and we will return to that soulful existence without the body, in the end of days. I think that this view is eisegesis, that is, trying to make the disparate texts fit together using one’s own ideas. Another belief that I have heard in traditional circles is the idea that in the “World to Come” souls are given the chance to return (similar to reincarnation) in order to fulfill the Mitzvot that they hadn’t in a previous lifetime. The cycle continues until the soul becomes perfectly righteous and need not return. Of course there are some souls who so wish to return (according to some Yiddish mythology) that they enter bodies and cause mischief. They are called dybuks and cause problems in life. There are many other variations on these attitudes. I would like to share just a couple more with you. The first comes from my father, zt’l, Rabbi Maurice Davis. He would often speak of ‘anonymous immortality.’ If I tell you a story that touches you, you might decide to share that story. The person with whom you share it might continue the process of sharing. Somewhere along the line, my name, as the author of the story is forgotten, but the story or teaching remains. Here is a good example. Last week I took part in a gathering celebrating the wedding of a young friend of mine. 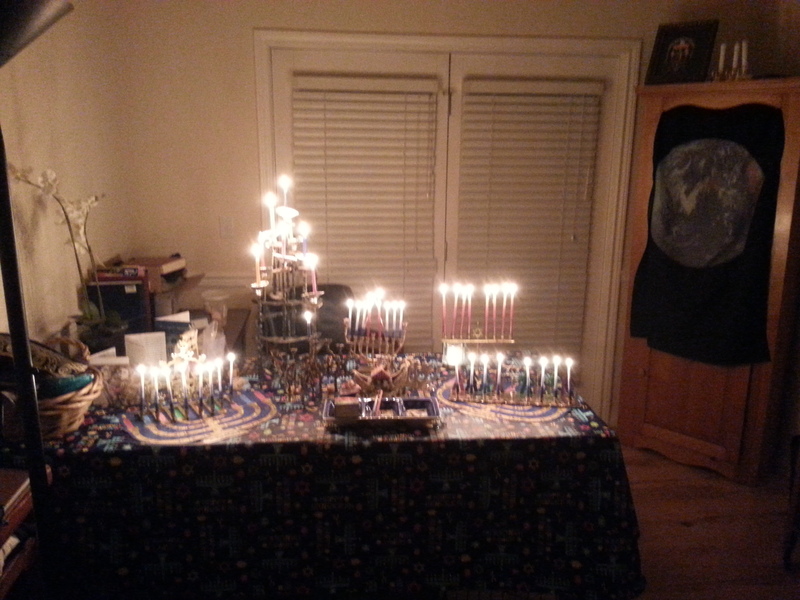 The celebration included Havdalah. At the point in the ceremony when they were to ‘use’ the Havdalah candle, my friend said to his wife; “I use this candle to look into your eyes, as you have taught me.” She responded; “I love this teaching but I thought that you taught it to me.” I smiled to myself as I am the one who created and shared that teaching with him when he lived with us: Anonymous immortality. Lastly, let me share my own view. There is in the realm of G a “Pool of Soul.” When a human is born, some of the Pool of Soul is poured into the person. For as long as s/he lives that soul grows from every experience that happens in life. When the person passes, the soul which has been separated from the “Pool of Soul,” returns to the pool becoming one with the pool. It is like taking a spoonful of water from a bowl and pouring it into a glass. No matter how the glass is moved or shaken, when the water returns to the bowl it becomes one with the water in that bowl. In that way the “Pool of Soul” becomes, in a spiritual sense, greater for each encounter with the limitations of human life. The Challenge of the Promise. I must admit that I have trouble with passages such as this; on the one hand they promise us such abundance and on the other threaten us with such horrors. I have trouble seeing the tragedies created by inhumanity, visited on humanity as G’s punishment to a stiff-necked people. I believe that we tend to use The Wholly One of Being as a scapegoat for the evil that humans heap upon each other. So how can I read the parts of this passage that promise and threaten? There was a righteous man who, one night was visited by the Prophet Eliyahu. Eliyahu proclaimed to the man that since he had been living such a righteous life, the Heavenly court had decided that he should have a hint of his reward right here on earth. Eliyahu asked: “What would you like as your special gift?” The man thought for a while and responded: “I would like to see Gan Eden and Gehinom, I would like to see the reward of the righteous and the penalty of the wicked. In other words, I wish to see what is called Heaven and Hell.” And immediately they were transported to Hell to see the punishment awaiting those who have sinned without redemption. And there, sitting at an infinitely long table were the offenders. And on that table was food. A magnificent banquet with every delicacy one could imagine. Food was piled high on beautiful serving plates. Succulent dishes with powerfully subtle aromas lay before these malefactors. The man was shocked until he noticed that each person was attached to very long knives and forks at two places on their arms, one above the elbow and the other below. The result was that the evildoers could not eat and they remained in a perpetual state of starvation. They moaned and wept and cursed, but they could not taste the succulent dishes just inches from them. The man standing by Eliyahu nodded in awareness. Yes this must certainly be hell. And at that moment they were instantly transported to Heaven. To the man’s total shock, it was exactly like hell. He stared in wide-eyed amazement, no, in shock at the same infinitely long table, the same elegant repast AND THE SAME BOUND CUTLERY. The man, who had lived such a righteous life could hardly believe what he was seeing. Was there no difference in the world to come for the righteous and the wicked? But then he heard the people at the table recite the blessing before the meal and they cut the food and each person fed the one across from hir (hir is how I deal with the challenge of not being gender specific). It was a merry sight to see. There was laughter as they fed each other, some awkwardly, some with experience. There was lively dinner conversation, discussing Torah teachings and their applications to the lives of these righteous people. The man nodded in silence for he had been given a great gift, one that humbled him. The difference between heaven and hell is not what awaits us, but how we will respond to it. There is a more classic story that comes to mind. It speaks to a personal understanding of our Parasha. There are truths in Torah but we must delve into the scroll of Torah and the scroll of our heart to discover them. Reb Zusha was a great Rebbe, a learned Rebbe and a very poor man. How would he answer the challenge of the beginning of this passage? We are told that a man once came to the Rebbe Dovber, the “Maggid of Mezeritch,” with a question. Reb Zusha received his guest warmly as he did with all who crossed his threshold, and invited him to make himself at home. The visitor decided to observe Reb Zusha’s conduct before posing his question. Before long, he concluded that his host truly exemplified the Talmudic dictum which so puzzled him. He couldn’t think of anyone who suffered more hardship in his life than did Reb Zusha: a frightful pauper, there was never enough to eat in Reb Zusha’s home, and his family was beset with all sorts of afflictions and illnesses. Yet Reb Zusha was always good-humored and cheerful, and constantly expressing his gratitude to the Wholly One of Blessing for all G’s kindness. But what was is his secret? How did he do it? The visitor finally could not contain himself any longer and blurted out his question. “What is your question?” asked Reb Zusha. My Rebbe (זצ’ל) was fond of the blessing: “May you live heavenly days on earth.” I believe that he meant that we should be as those souls in heaven and as Reb Zushia on earth. We should help each other and find joy in the simple act of living. HaShem, The Wholly One of Being, will not change what is, even if we pray: “Dear G please let me show you that winning the lottery won’t change me.” But G is constantly implanting within us the ability to elevate the challenges that we face. Could this be the answer to the question that we feel when we read the promises and threats in the words of our Sacred Text, our Sacred Guide? Is this not truly living a life that fulfills the blessing: May we live heavenly days on earth. Reading Torah is a unique experience. We begin on the earth, grounded as it were with the simple understanding of the words. Then we flow mentally and mystically through the roots of the words. If we are very fortunate, we find ourselves playing in the branches of our sacred tree (“It is a tree of life to all who hold fast to it”עץ חיים” “למחזיקים בו). Many have struggled with the question of why Moshe Rabbeinu, the Holiest of humans was not allowed to cross over into the promised land. Here is yet another interpretation. כג וָאֶתְחַנַּן, אֶל-יְהוָה, בָּעֵת הַהִוא, לֵאמֹר. כד אֲדֹנָי יְהוִה, אַתָּה הַחִלּוֹתָ לְהַרְאוֹת אֶת-עַבְדְּךָ, אֶת-גָּדְלְךָ, וְאֶת-יָדְךָ הַחֲזָקָה–אֲשֶׁר מִי-אֵל בַּשָּׁמַיִם וּבָאָרֶץ, אֲשֶׁר-יַעֲשֶׂה כְמַעֲשֶׂיךָ וְכִגְבוּרֹתֶךָ. 24 ‘O Lord GOD, Thou hast begun to show Thy servant Thy greatness, and Thy strong hand; for what god is there in heaven or on earth, that can do according to Thy works, and according to Thy mighty acts? My Translation/Interpretation: “Oh Wholly One of Being, My Council, You have begun the process of showing me, teaching your follower, how You thread everything together and Your strong direction. Who else can do as You have done so splendidly with heaven and earth? כה אֶעְבְּרָה-נָּא, וְאֶרְאֶה אֶת-הָאָרֶץ הַטּוֹבָה, אֲשֶׁר, בְּעֵבֶר הַיַּרְדֵּן: הָהָר הַטּוֹב הַזֶּה, וְהַלְּבָנֹן. כו וַיִּתְעַבֵּר יְהוָה בִּי לְמַעַנְכֶם, וְלֹא שָׁמַע אֵלָי; וַיֹּאמֶר יְהוָה אֵלַי, רַב-לָךְ–אַל-תּוֹסֶף דַּבֵּר אֵלַי עוֹד, בַּדָּבָר הַזֶּה. 26 But the LORD was wroth with me for your sakes, and hearkened not unto me; and the LORD said unto me: ‘Let it suffice thee; speak no more unto Me of this matter. כז עֲלֵה רֹאשׁ הַפִּסְגָּה, וְשָׂא עֵינֶיךָ יָמָּה וְצָפֹנָה וְתֵימָנָה וּמִזְרָחָה–וּרְאֵה בְעֵינֶיךָ: כִּי-לֹא תַעֲבֹר, אֶת-הַיַּרְדֵּן הַזֶּה. 27 Get thee up into the top of Pisgah, and lift up thine eyes westward, and northward, and southward, and eastward, and behold with thine eyes; for thou shalt not go over this Jordan. There is so much to unpack in this Parasha. In it we find the first paragraph of the Shema. This paragraph councils us, with compassion and humor, to focus and to love and even offers deep teachings on the ‘how’. It begins with the challenge to believe in the Oneness that is the source of all creation. And immediately guides us to a path of love. We are commanded to love. We ask in our hearts: “How?” The answer comes; “heartfully, soulfully, fully!” Again we ask how. And the answer wafts from the black fire on white fire: “Keep these teachings close to your heart.” And like a young child, we ask again: “How?” And HaShem with patience and compassion answers us. The key to remembering is to share these teachings with our children. And because HaShem is such a good teacher of us, G’s children, there is humor added to the mix. We are to speak of this powerful teaching only two times in a day, when we are standing up and when we are not standing up. And for those of us who still don’t get the joke it is repeated. We only have to focus on the power of love when we are at home and when we are not at home. And to help us remember the sacred power of love, the power of holy focusing on the source of love, we are to wrap these words on our arm and wear them as jewels on our heads. They are our strength and our crown. And more, we are to write them as reminders on our doors and gates. And even when we are doing well, we must remember the power and purpose of love and the source from whence it and all things flow. Parashat Va’Etchanan is always read on the Shabbat after Tasha B’Av, the day of great sadness, and is known as Shabbat Nahamu, taking its name from the opening words of comfort in its special haftarah. The concept of binding love on our arms and wearing the love as a crown on our heads has come down to us as a memory device called Tfillin. So powerful is Tfillin that the Sages of the Talmud teach that the Wholly one of blessing, dons Tfillin every day (BT Brachot 6a); they suggest that in the boxes of G’s Tfillin are verses paralleling the boxes worn by Jews. In G’s Tfillin are the teachings of love for all humanity, for our planet and for out process. Tradition teaches us that Tisha B’Av is a time of mourning. We mourn the destruction of the first and Second Temple. Over time we have added expulsions, inquisitions, the Holocaust and some have even tried to make a connection with 9/11. The mental gymnastics involved in some of these equations are strenuous to say the least. Yet I would propose that we do not need to struggle with a Pilpulish effort to make the event meet the date on our calendar. Rather, let us simply accept that on a warm summer day, we take a break from our busy lives and allow ourselves to acknowledge that there is sorrow in the world. There has always been sorrow in the world and that until the Messianic age (and maybe after) there will be sorrow in the world. And there is sorrow and hardship in our own lives. Without allowing that sorrow to dominate our lives, should we not recognize and reflect and even weep for the sadness that is in our world, in our tribe and in ourselves? I weep for our world and the careless destruction that we heap upon it. My tears flow for lost loved ones and friends and my Rebbe for whom I ache. I look heavenward tearfully and silently wail for the struggles of friends and family and even strangers, I cry out at missed and squandered opportunities. I am dismayed over my loss of strength and physical abilities and memory and mental acuity. I take a day to let go, not to control my emotions, not to smile in the face of adversity. I say to myself: “There are times when I must be strong. This is not one of them. The 9th of Av usually falls around my birthday giving that day a bittersweet quality. I need this day of mourning to help me refocus. I need this day of mourning because I do not want this annual event to spiral down into a daily occurrence. I need this day to inspire me to rebuild what has been destroyed. After this day of mourning must come a day of building. After this day of mourning I can once more enjoy the warm summer days and be touched by the cool, crisp fall air and prepare for the cold and wondrous winter. There is a story told or Rabbi Akiba (and I paraphrase) who stood on a hill overlooking the ruins of the Temple with other Rabbis. They saw foxes running through the destruction. Rabban Gamliel, Rabbi Elazar ben Azaria, Rabbi Joshua and Rabbi Akiba saw a fox emerging from the place of the Holy of Holies. The others started weeping; Rabbi Akiba laughed. For me, Tisha B’Av is a time of weeping over the destruction. But I know that a new day will break and I must roll up my sleeves for the joyous task of rebuilding. There are many deep meanings to this so called minor holiday. The historical Hanukah is harrowing and miraculous in its own light (pardon the pun). A small group of dedicated people fight for religious freedom. The Maccabean war was not fought to make others follow our path. It was a struggle for our people’s right to worship our way. It might be the only war in history fought ONLY for religious freedom. For some, the holiday of lights is simply the awareness of the winter solstice by an ancient people. For traditional Jews, the miracle of the sanctified oil which burned bright for eight days is a miracle of G. It is a call to faith. In my heart, the religious aspects of the holiday are powerful and personal. The miracle of the oil redirects us away from battle and blood. It directs us toward a deep spiritual light. The story of oil lasting eight days is a mighty metaphor for our power to be part of the Godding process of creating light. Our Hanukah ritual of light speaks to our interpretation of that proverb. Every year we light our Hanukiyot in joy, in hope, in faith. We look back at the history of Hanukah in faith. We look forward in hope and we light with those close to us in the joy of family and friends and those who light up our lives. And so when we hold a child’s hand and guide hir to light, when we sing the songs together and seat our children on our laps and tell the stories, the light glows brighter. When newlyweds light the one Hanukiyah and dream of lighting more with children to be, when elders look into the light of old Hanukiyot and memories dance in the flames, the flames burn brighter. The historical Hanukah, the religious stories of Hanukah, all are the candles that provide the fuel for the lighting of the sacred light of our lives. When we retell the stories with our friends, with children on our laps are the matches that have the potential of lighting the eternal light, the original light of creation. The memories that we recall and the memories that we create are the flames that we ignite for our people, our families and our souls. “Kindle your own candle, ignite your soul, Hanukah is your story” (Likutay Halachot). At this season, when we wish each other Shanah Tovah, we usually don’t think of the possibilities that the greeting offers us. We simply hear it as a greeting of good cheer for the New Year. But not me, not anymore. This year has been filled with too many challenges, some hard and hurtful, some sorrowful and stern. And so I turn to the meaning of the words Shanah Tovah for comfort and courage and encouragement. I find in the maze of meaning, hope for a better second half (this is, after all, the seventh month of the Jewish year). For me, for my inner well-being, I parse the words Shanah Tovah to mean “May this be a time of good changes.” In that blessing I hope and pray that in the coming year of 5775, I will learn the lessons that are sent my way and find the changes to be as gentle as the breeze through the meadow. I look back at the past year and find that the winds were too harsh. I look to the coming months with the hope that comes with spring and the promise that is fall. I have seen too much this year of the end of life paths, some before they even had a beginning. Nevertheless these changes have been punctuated with lessons; I now must face and accept that which happened this year as messengers and teachers. My daughter and son in law have taught me so much about compassionate courage and indomitable hope. The untimely and shocking passing of a friend challenges me not to surrender in the face of adversity. The stark challenge of Cancer, faced with courage and faith and love demands of me an awareness of the gift of life that I often take for granted. And the passing of my Rebbe brings into focus so many of the lessons that he offered as gifts to me. Every day, before I Daven (pray and meditate) in the morning, I see his picture and his Mateh, his walking stick. And the slow, too slow awareness of his great and quiet lessons that he gave me in private council call to me. I hear them, see them, feel them so deeply. And I wish that I could once again share with him, question him, laugh and cry with him. And maybe we do, but it is hard for me without his physical presence. Yet they do come to me and in many guises. I was once kvetching about never learning to chant, whether it be Torah or Tfilah (prayer). He shared a story of how he at times chanted a Torah portion not according to the traditional trop, but according to the meaning of the words and the message he wanted to transmit. I recalled that once, with my father (ztl), I had been asked to lead an Orthodox minyan. Coming from a Reform background, this was a challenge. My father (ztl) gave a wonderful sermon off the cuff, which was to be expected. But I was to chant Torah and I am Trop deficient. When it came time for me to chant I made it up as I went along, according to the meaning. After the service, an elderly member of the congregation complimented me on my chanting (a very compassionate lady) and not recognizing it, asked if it was Sephardic. I glibly answered: “As far as you know!” I felt that I had gotten away with something until my Rebbe shared his story. Then I felt foolish. We had both done the same thing. But, I had done it to disguise my ignorance and he had done it to impart a teaching. After my Rebbe passed this year, I noticed that my davenin (as he would pronounce it) has taken on a new character. I chant everything. And each time, the chant is different. The chant follows the meaning of the prayers and at the same time the chant reflects my mood, my meaning, my need and my hopes. The chanting is prayerful and to me powerful and extremely personal. I can’t chant that way in front of others. I get intimidated and return to the melodies that I have learned, the traditional or not so traditional tunes, depending on the mix of the people who I am leading. But when I am alone I find myself delving into personal meaning, and each time I find something new. Each time I receive another Rebbe lesson. A few weeks ago, it struck me as I was davenin, how the first and second paragraphs of the Shema have a small divergence in the phrase ” דבר בם” (speak them). After being charged with teaching our children, in the first paragraph we are instructed to “ודברת בם” (and speak the words) and in the second paragraph, “לדבר בם” (teach them to speak the words). In the first version we teach the way of Sacred Connections to our children “And speak of them” that is to say by living them ourselves. In the second version “so that they will speak of them” we teach them so that they will live and breathe and say them. It struck me as a great parental teaching. If we are to teach our children, the first and best way is by doing ourselves. Then we can share with them and they will learn the holy lessons and will speak them and live them. It’s a great lesson that I might not have picked up, if my Rebbe hadn’t challenged me to chant with Kavanah, that intense intention. And there is a hidden lesson within the hidden lesson. There is another teaching that I received from my Rebbe which ties in with the teaching of ” דבר בם” (speak them). Once we were chatting in the car and he offered me a challenge. My Rebbe told me to go home and spend fifteen minutes a day realizing that I am a Tzadik. I must admit that while I laughed at the challenge, my ego swelled to the point that I didn’t think that I could fit it in the car. When I arrived home I found a private place to explore what I thought would be an enjoyable fifteen minutes. I sat for a while feeling proud of myself for being a Tzadik until it struck me that pride was not appropriate for a Tzadik, so I had to discard that. Then into my mind came those who had, in my way of looking at things, wronged me. My disdain for them flashed (after all I was a Tzadik for fifteen minutes) until I realized that antagonism too was not very Tzadik-ist. I struggled to push those thoughts away and began to concentrate on what a Tzadik should think and do. The more I tried, the farther away Tzadik-hood seemed to travel. I became angry with Tzadik-ness. That too interfered. So I tried to think of how I could actuate my Tzadik-itude. But that too eluded me. Finally I let go and some sweet thoughts of hope and love and compassion filled me. It made me feel happy with myself. Damn, missed again. I then noticed that I had been sitting for over an hour. I hadn’t even gotten the timing down. For a whole week I struggled and strained and failed. When I reported back to my Rebbe, I told him that his assignment was the cruelest thing he had ever done to me. His belly laugh was infectious. Well I have continued to try and fail and probably will continue to fail for the rest of my life. But there was a wonderful lesson there. No Tzadik realizes that s/he is a Tzadik. No Tzadik tries to be a Tzadik. That is the challenge for us, the Benonim, the in-betweeners. And I notice that in the lesson of ” דבר בם” (speak them) is another hidden message from my Rebbe. The two letters that make the difference between “ודברת בם” and “לדבר בם” are ל and ו. ל’ו Lamed Vahv which refers to the 36 righteous people who hold our world in balance. A Tzadik lives his teachings and we who are fortunate enough to bump into that Tzadik along the way, have the opportunity to learn the lessons and speak of them and sometimes, when we aren’t trying to be a Tzadik, we can live their lessons and they become ours. Shlemah – a harmonious and complete healing) in his prayers. Rebbe interprets it as making our souls transparent before G.
from tests taken. You can find updates on this blog, the page Hedvah: Our Joy. One of these lessons is the humility to ask. I have trouble asking. procedure, we are in need. We need your prayers and good thoughts. A holy season of tests and lessons. My Rebbe the other day, told me a story about a story. Years later the giver again falls on hard times. On a cold, snowy, winter day, he goes to the taker again but again the taker refuses to give, to make good on his debt. The giver walks away in poverty and sadness in the snowstorm. On the long trek he freezes to death. In שמים there is a tulmut. The decision is that the giver will receive heavenly reward while the taker will be punished. But the giver asks that they both be sent back and the taker given the chance to redeem himself. So it is decided that the taker will be born wealthy and the giver will be a beggar. If the taker gives even a some spare change it will change the decree. So the giver, now beggar, shows up at the taker, now rich man’s house. He puts his hand out and looks into the eye of the taker, neither man remembering their previous incarnation. The taker, now rich miser, for some reason can’t bear the look in the giver now beggar’s face. He pushes the beggar out of his way. But the giver now beggar trips, falls and dies …again. “Will that change the decree against me?” Asked the man. I have been thinking of that story over the holy days as I sit in our Sukkah. A thought keeps bubbling up. I was once asked to give a graduation speech at a high school. In my talk I mentioned that in school, in that protected environment we learn our lessons and then we take our tests. But in real life the tests come first. If we survive and if we are open we learn lessons. In my Rebbe’s story the taker was tested and found wanting. Did he learn from those tests? That is left for us, we are left to finish the story. I like the feel of that idea of tests and lessons and it has proved true on many occasions. I look back at my 64 years of tests taken and lessons learned and unlearned. They are a source of great joy and great sadness in my life. I speak often of the concept of tests and lessons. Once, a couple who were members of my congregation were in a car accident. I rushed to the hospital and sat with them both. After assurances that the wounds were not life threatening and the healing would, in time be complete, the woman looked up at me, tears in her eyes and said: “Rabbi, what’s the lesson?” I couldn’t help but smile. I responded: “First, let’s finish the test.” They both survived the test and with the help of my wife and myself they got back on their feet financially. I am sad that over the years, as their financial situation improved, their relationship with us declined, but that is the test that I had to take and the lessons that I still have to learn. Now, as we start 5774, my family is facing many tests. Our grandson lives with us and there are special tests for 64 year olds raising a 16 year old child. The lessons on patience have been powerful and somewhat painful. And they have been enabling and enlightening. There is the test of having one child half a country away that is for me a tearful test. Yet there are lessons in the too few late night calls that we share. They always melt the miles, with tears or laughter, whether through the focus on what has been read and watched or what has been felt and what is shared, every call is a lesson on the deepest meaning of מצווה Mitzvah, “sacred coonection”. Though thousands of miles apart this strong, brilliant, beautiful young man is eternally a part of my heart. I have a daughter who lives but a few miles away and finds fulfillment in life by literally touching the roots of life in her garden, working side by side with her husband. These two work their separate important jobs and come together in the garden. What a loving act of connection. These two wonderful young poeple make a wonderful Mitzvah/connection with each other, with nature, with G and with me as they bring their bounty to our door. The test for me is letting my role change as my daughter has grown into a beautifully wise and compassionate and woman, who shares her life with her partner, lover and friend. My lesson is to let go while holding her tight in my heart. There are tests and lessons that fill our lives and become apparent through rituals of awareness such as the ימים נוראים/Yamim Noraim. I believe more in synchronicity then in coincidence. And this year brings the point home. My wife is went through medical tests, during these 10 days of Awe. And I find myself weeping through my davenin. I understand that we cannot learn the lessons while in tendrils of the test. I have learned to focus on the tests and allow the lessons to blossom in their own time. 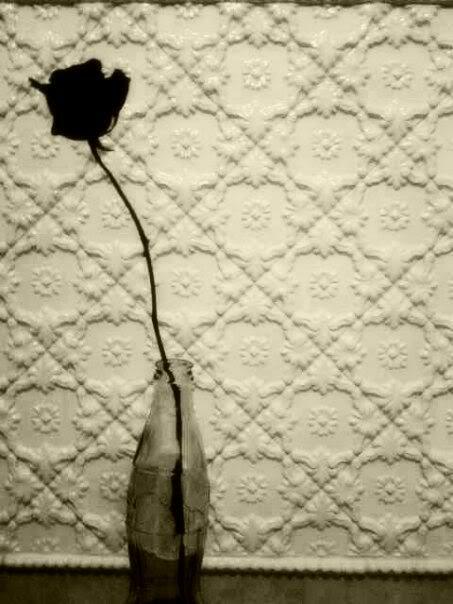 I have learned that time does not heal all wounds nor does it wound all heels. But time does soften the glare and sometimes distills the light into sparks of enlightenment. In the mean-time and sometimes it does seem that time is mean, we need to involve ourselves in the Awesome Days and the joy of Sukkot through what has been called “spiritual C.P.R. Charity, Prayer and Repentance”. We need to give and we need to receive spiritual CPR. In light of all the changes that defined 5773, my ‘New Year’s Resoul-ution for 5774 is: To accept awe as the roots of awareness: To take the tests with that awareness: To learn the lessons from the tests taken: And to strive to live those lessons by giving with awareness and receiving with awe that Spiritual C.P.R. For the past 14 years, I have been able to study (at least once a week) with Reb Zalman Schachter-Shalomi, a great teacher and warm hearted Tzadik. Lately, we have studied every Shabbos. I come away feeling the power of the teachings and empowered to create my own understanding of those teachings. I would like to share the blessings! For the purposes of ‘Elul-ING,’ here is something that we learned together. the two deep concepts of Transcendence and Imminence? Think for a moment of a flash of lighting in the middle of the night. For a second, the world lights up and the beauty of the power is revealed. And then, it is gone. But if we were, perchance, to catch that powerful sight with a camera, we could look at all that is lit up by the lightning and spend time in the awareness of all that is revealed. When I look at this world, my Sechel fills my Goof with awe. The mountains of Colorado always blow me away. Watching the bears eat berries fills me with joy. I find it incredible that trees carry the seeds of their future and that insight leads me to the awareness that we humans also carry within us the sacred seeds of our future. When I see pictures of the earth from space, I am amazed and filled with hope. The world is one place, one unit, indivisible. And all the diversity of our planet is part of that oneness. And that for me is Sovev Kal Almim, Transcendence, HaShem God-ING our universe in every moment even though we may not recognize the God in the God-ING. ‘Yod Ekev’ means, to me, following that tiny yod (י) of awareness, body and mind. After doing battle with, and being wounded by a messenger in the night, Yaakov’s name is changed to Yisrael. In this particular understanding, his name becomes ‘Li Rosh’ by scrambling the letters. ‘Li Rosh’ could mean ‘my head.’ But in this case it represents an elevation of awareness. I feel and need and want God in my life. Like the old prayer; “Dear God, give me patience…NOW!” I feel the immediacy of God in my life, that imminent relationship referred to as Mimaleh Kal Almin, Imminence. At the birth of my children, and the death of loved ones, in my lowest moments of despair and the heights of joy, I discover God God-ING into me and sometimes through me. When I lose myself in davenin and in so doing find God, I feel the Mimaleh Kal Almin, the imminence and immediacy of being in the moment with the Wholly One of Being. When I do the small act of Tzedaka by giving a dollar to a person on the street, or share a teaching that touches in an “I-Thou” moment, I feel the God-ING. When a stranger gives me the right of way on the road, or a friend shares a story that touches my soul, I recognize and am awed by the Wholly One of Being active and activating in my life and I feel blessed. We all live daily in our Yaakov existence as we should. But if we strive for it and are blessed with a certain openness to the Thou in our lives, we discover our personal Yisrael, as we are awed by God God-ING in our lives. In Hebrew, every word is a verb. some surprising and wonderful things can occur. which kind of a Jew are you? the questions flow in a different direction. How often do you Jew? What is your Jew-ING quotient? I have been thinking a lot lately about the Jew-ING in my life. This month in the Jewish calendar is Elul and in Elul we begin a process of self-examination, of self-exploration in preparation for the high of the High Holy Days. We take this month of Elul to to look within, to let go and then look forward to 5774. Elul is here. It is time for us to verb-alize our Jew-ING. Do you Jew your food? Do you Jew your money into Tzedakah to help others? Do you Jew with your children? How do you Jew daily? This is the month when we begin the self-examination of our own Jewing. 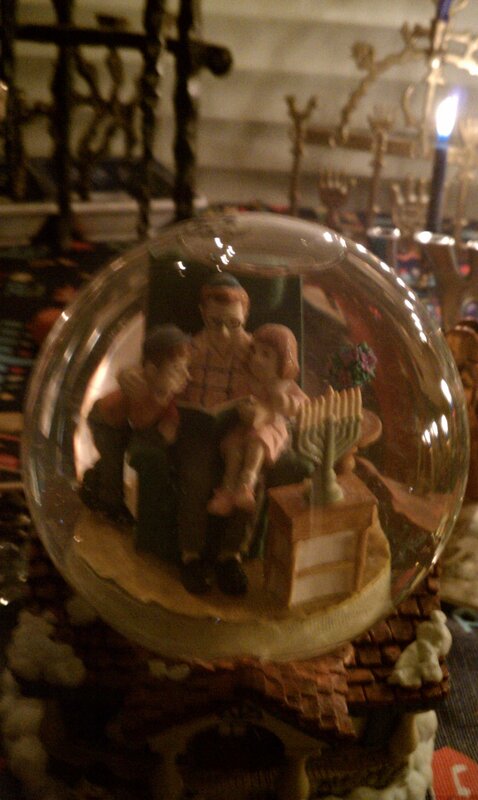 I suppose what we are really Jew-ING this month is Eluli-ING!